In July 1912, Collingwood Technical School opened in the modified bluestone buildings at 35 Johnston St. originally built in 1853 as the Collingwood Town Hall and Court House. Within three weeks, there were 57 boys enrolled, studying preliminary carpentry and pattern-making, plumbing, engineering, sheet iron work and bricklaying. They attended two hours a night on three evenings a week. In 1913, the school opened its doors to juniors and took residence in new permanent buildings erected on the site. It was classified as a trades school by the State Education Department. Two years later, courses in electrical wiring and electrical and mechanical engineering were introduced. Over the next 75 years, the school expanded with new extensions and courses as education assumed a much greater significance in society. In 1916, during World War I, the school was used to rehabilitate returned soldiers and a Returned Soldiers Training Scheme began. 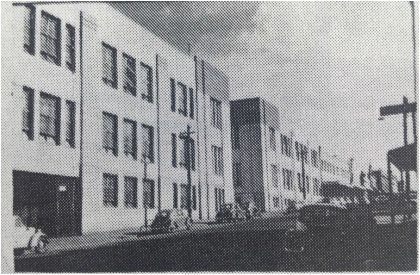 In 1931, during the Depression, classes started for unemployed youths and by 1935, the junior school had 788 enrolments, the biggest of any metropolitan technical school. The total enrollment was 1769. In 1970, the school was renamed 'Collingwood Technical College' following the introduction of 'middle-level' engineering courses. 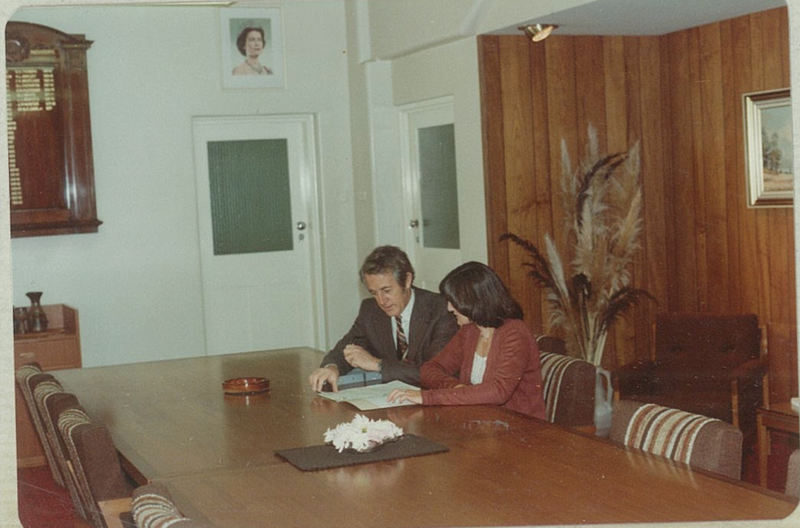 Then, in 1976, Certificates of Technology were introduced and the college assumed responsibility for high school evening classes at University High School as part of TAFE operations. In 1981, the college changed its name to 'Collingwood College of TAFE'. At the meeting of the School Council on 13th November 1913, the matter of a school badge was considered and members suggested that the students submit designs. Apparently, the response was not satisfactory and at the Council Meeting on 5th February 1914, the matter was left in the hands of Mr Harper (Council Member) and Mr Matthew Richmond (Principal). Whilst when they submitted their design remains unknown, throughout the years it has been commonly understood that Mr Richmond's design was used. The background depicts a cog-wheel; inside which is a carpenter's square, an artist's palette and, encircling these, a pair of outside calipers. It also depicts the school monogram; the letters C.T.S. The black and white of the badge are the traditional colours of Collingwood and symbolically, stand for the white of purity and the darkness of ignorance; serving as reminders that it is through education alone, that we can improve our lives and society. The artist's palette reminds us that we should at all times, attempt to beautify our lives and surrounds.